Xuver introduces an interactive online 3D viewer. The easy-to-use web viewer allows companies to easily show a 3D design to customers. For a long time, it was almost impossible to show 3D models through a web browser without having to download plugins or expensive software applications. This has all changed thanks to Xuver – a versatile and especially easy-to-use web viewer that allows to easily share your 3D models. 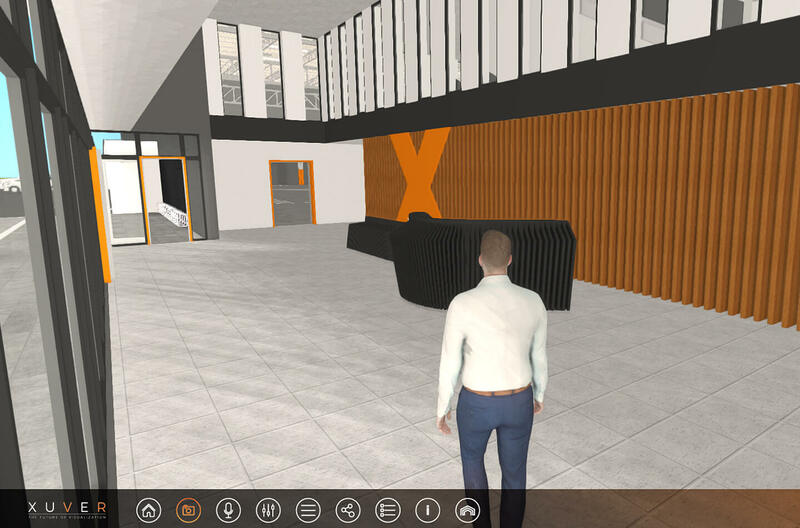 One of the most important facets of this interactive 3D viewer from Xuver, which took years to develop, is its very user-friendly interface and the many functions with which the interactive 3D model can be viewed and shared. For example by an architect or designer who wants to share his 3D model with a client, or a real estate broker who wants to arrange a 3D viewing of an apartment. And that is only but a small part of the potential applications of this handy tool. With this viewer, everyone involved walks through the model with their own avatar. This versatile tool works entirely browser-based. Before Xuver this was impossible, you not only required a powerful computer to view the 3D models but heavy software that slowed the process down. However, the efforts of an ambitious team made it possible: outstanding quality, as well as quick performance of the 3D model, have been maintained. The 3D model can be shared and viewed by others, simply by sending the HTML link. The easy interface of the viewer makes sure that this tool can be used by everyone right away, without the need for technical guidance. The viewer is based on the newest web technologies and works in Google Chrome, Mozilla Firefox, and Safari. The viewer can be used right away, without downloading any heavy software. The Xuver team has worked for years to make the idea of this viewer a reality. The starting point was to simplify 3D visualization, as many contractors and their clients were not able to view 3D files effectively. Existing visualization tools were, and still are, too static or difficult to use. It often takes a lot of time to create a usable visualization. With this viewer, there is now a tool that is ready to be used by a broad group of professionals. By combining speed and a user-friendly experience, this viewer will save time and reduce costs. The viewer can be used by a very diverse group of professionals. Architects can now share designs with any party involved in the building process and from anywhere in the world. Developers, contractors, interior designers, garden designers, and asset managers can also use the viewer. And it doesn’t stop there, the retail, maritime and hospitality industry has also shown interest in the viewer. Pretty much all industries involved in 3D-design, decoration or viewing will be able to find a use for this viewer. But how does this look in practice? Let’s go back to the example of the architect: with this viewer, it is now possible to show a design to customers. 3D files with possible BIM data and BIM layers can be converted for free and in a simple manner. Moments later they can already be shown in the viewer. 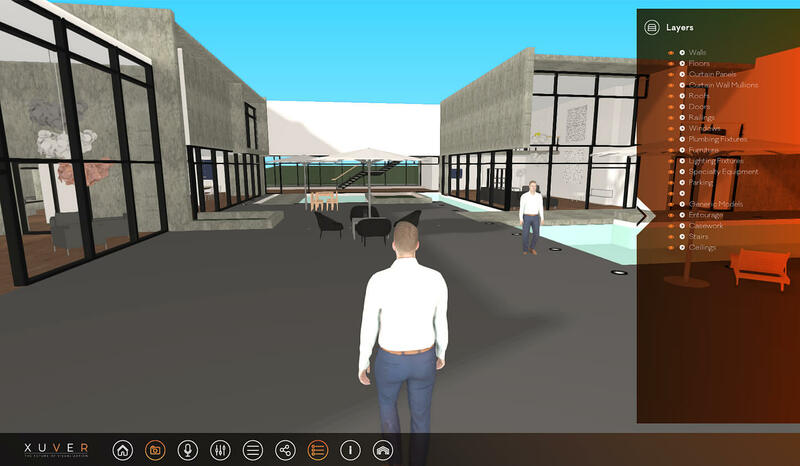 The viewer can use sources like Autodesk Revit, SketchUp, ArchiCAD and IFC. Since this is also a multi-user viewer, everyone who is invited can access the model from their own browser and location. The many interactive features make it easy to explain choices that were made, even to those who do not possess the greatest technical knowhow. To clarify the model even better, the possibility to remove -and re-add- layers has been added. 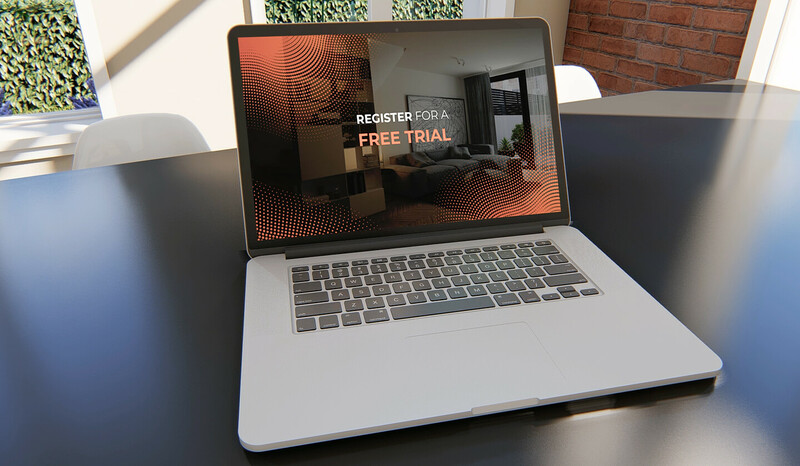 This viewer has a two-week free trial period, after a quick signup. Just one look inside the viewer shows the practical use of this awesome tool. You can even walk through a three-dimensional model using an avatar. This will visualize the model for everyone involved and it’s no longer necessary to explain complicated blueprints to other parties. Everyone involved can view the model from their own browser, provided that they are invited to view the shared HTML-link. A real estate broker can show and sell a house, without leaving their office. A garden architect can send a 3D model of a future project, all from their own office chair. There are also many interactive features, such as the speaking module or the laser pointer. This makes explaining and discussing the model extremely easy. By launching this viewer, the Xuver team has brought an idea that sprouted into life six years ago. The result is an accessible, multi-user viewer that works from the browser and that allows users to communicate with each other. Eventually, the goal is to quickly convert all design programs. The viewer does need a 3D source as a base, but it can also work with a 2D file. As an extra service, Xuver can also create the 3D model for you. Xuver creates advanced visualization applications. It can transform a project into a life-like 3D experience. The Xuver team consists of experienced programmers, architects, and designers. From concept to technical realization and launch of the Xuver viewer, it took the team about six years to create this viewer.